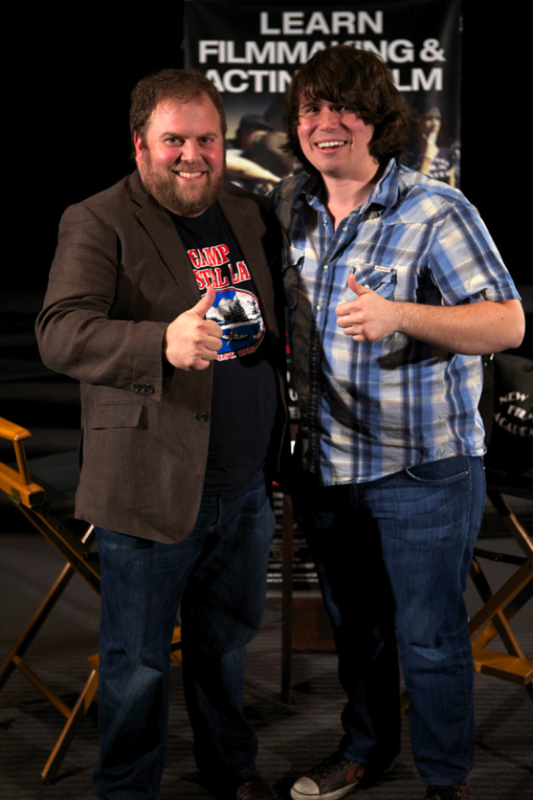 Screenwriting Chair Eric Conner poses with Smiley director Michael Gallagher. As a three-time alumnus of New York Film Academy’s Los Angeles summer camps at Universal Studios, director Michael Gallagher is a testament to the camps’ focus on preparing the future filmmakers of today. During his time in high school, Gallagher kept busy creating everything from short films to music videos to documentary films. And since graduating high school, he has gone on to start up the popular web series Totally Sketch, having gone on to rack up over 850,000 YouTube subscribers. 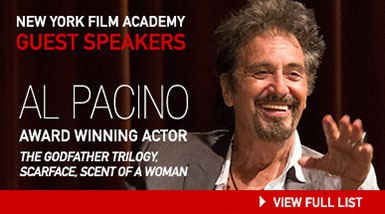 So it was a no-brainer when NYFA brought Gallagher back to the camp that helped shape his chops for a guest speaker event in which he shared his horror film Smiley that debuted at theatres across the country. However, Smiley’s plot soon began to mirror real-life changes the movie faced. Having cast friends and actors with YouTube buzz to help raise awareness about the film, the trailer soon garnered over 21 million views and Gallagher, at the age of 23, was about to have his first feature-length film released in AMC theatres nationwide. That was, until users of the website 4Chan decided to get involved. In Smiley, Gallagher cast the anonymous internet community as the villains of his films. While he anticipated a minor backlash in the form of rude comments, he was soon besieged by an army of 4Chan users posting his home address, personal information, and besieging him with dozens of death threats. However, in the end, the actions on the part of 4Chan only helped to raise interest about the film, with Gallager appearing on the Today Show, Inside Edition, Variety, and Paste. Realizing they were only giving the film free publicity, the threats ceased once the film hit theatres. In short, Gallagher’s story was an extremely relevant lesson to camp students of the power of film to have real world consequences. Smiley is now available to purchase here.